Evidence of Rotorua thermal activity is everywhere you look. Steam rises lazily out of storm water drains accompanied by the pungent smell of sulphur - in the central business district. Walk on for a couple hundred meters and you're tripping over (not really but you could) boiling hot springs and mud pools playing their merry little games, just like in this video below taken at Waiotapu. Dancing Mud from SightsForSeeing on Vimeo. 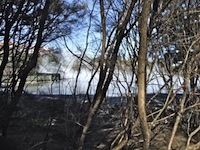 A lot of visitors can't stand the rotten egg smell of the Rotorua thermal sulphur and can even get physically ill. For me, and a lot of other locals, that smell means we're home (truly). It can have its drawbacks though. The sulphur plays havoc with our electrics by eating into the wiring and components on TVs, stereos, underground cabling etc. For this reason, we can have trouble getting warranties so it doesn't pay to go too expensive. A lot of it depends on how close to the thermal areas you live as to how much trouble you tend to get. And don't get me started on screws and nails, outside door knobs, light fittings, outdoor furniture etc. 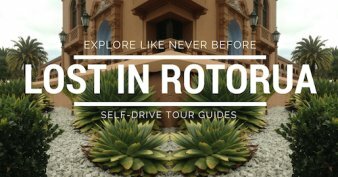 That aside, each of the thermal areas on this page are marvels of nature and whichever you choose to visit, it will be well worth it. They are all unique in their own way so I've tried to capture the essence of each place in order to help you out with your decision-making. Bonus: Some are free! 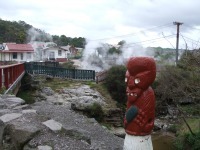 Whakarewarewa or Whaka as we call it, located in the Whakarewarewa Thermal Valley, is very much like a māori village of old. Here, the Tuhourangi/Ngati Wahiao people live amidst an area of intense thermal activity, totally at one with it. 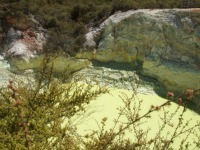 The other half of the Whakarewarewa Thermal Valley is Te Puia, one of the most visited attractions in New Zealand. 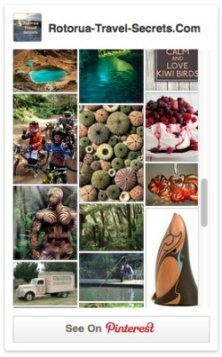 Featuring the famous Pohutu geyser, māori culture and cultural performances, kiwis, our national māori weaving, wood and stone carving schools (wananga)… there's all sorts to entertain here. Something different for golfers to try. 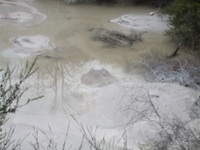 The Arikapakapa Golf course, across the road from Te Puia, has all sorts of little thermal lakes and mud pool hazards. I bet there are a few golf balls buried in the murky depths. 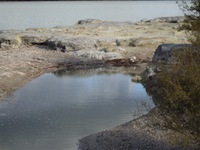 Craters filled with hot thermal water, others with steaming walls have names such as Echo Crater, Inferno Crater, Black Crater, Fairy Crater and Raupo Pond Crater. Waimangu Valley was born when Mt Tarawera erupted in 1886 and it's the world's youngest geothermal system. 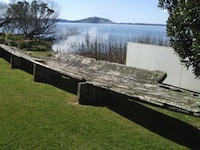 Ohinemutu's thermal isn't on the scale of the preceding attractions but the surrounds and history make it a must visit. The houses are dotted in amongst the thermal landscape to take full advantage of its benefits whether it's cooking or bathing. This is also on the pages of Free Things to Do. The landscape can get quite alien-like walking or biking through Sulphur Flats. Beginning at the Lakefront take in the newly created wetlands the birdlife sanctuary, and all sorts of geothermal nooks and crannies. Wander at your leisure in Kuirau Park which is right in town also. 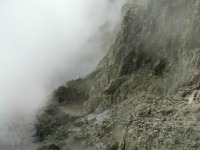 It features a lot of thermal activity - all for free. Walk on a bridge over boiling hot water and be enveloped in the steam and you won't be able to see your hand in front of your face. Colours are so bright and distinct you can only marvel at what nature has produced at this geothermal attraction. 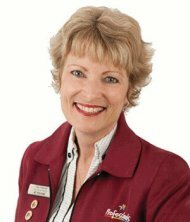 A visit to Waiotapu also features the not to be missed Lady Knox Geyser. It erupts at 10.15am each and every day without fail. Hells Gate Rotorua with its natural hot springs, sulphur rocks, mud pools and freaky landscape drops a person into a whole other world. This is the most active thermal park in Rotorua, and the only one to feature a Mud Volcano (in all NZ). Walk around the park, bathe in a Mud Bath and Spa Pool, have a massage, there's all sorts to do.